Crane Axle's outer kit includes everything you need outside your knuckles to get going. Adam talks about the GM Dana 60 Front End Outer Kit and shows how easy it is to install. 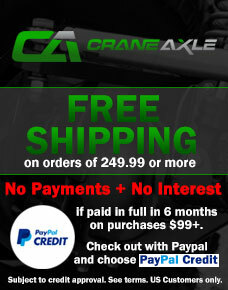 Includes spindles, wheel hubs, rotor bearings, and brake kit. Everything you need to finish off the outer on your Dana 60 knuckles.